For the average guitarist or bassist, the word "Rickenbacker" usually conjures up one of a few iconic images. There's the Beatles on Ed Sullivan with John's 325, there's the the Jetglo 360 played by Peter Buck of R.E.M., or maybe it's Geddy Lee or Lemmy digging into his 4001 bass. These instruments helped define the sounds of each band and era, and have earned Rickenbacker the title as one of the most iconic instrument brands of the past century. 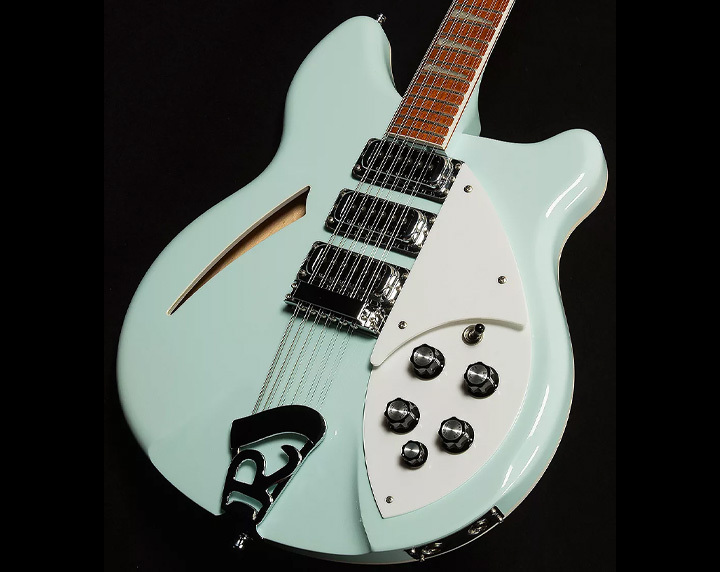 But for every one of these timeless, core designs, Rickenbacker has also built its share of limited editions, custom one–off creations, and other rarities. 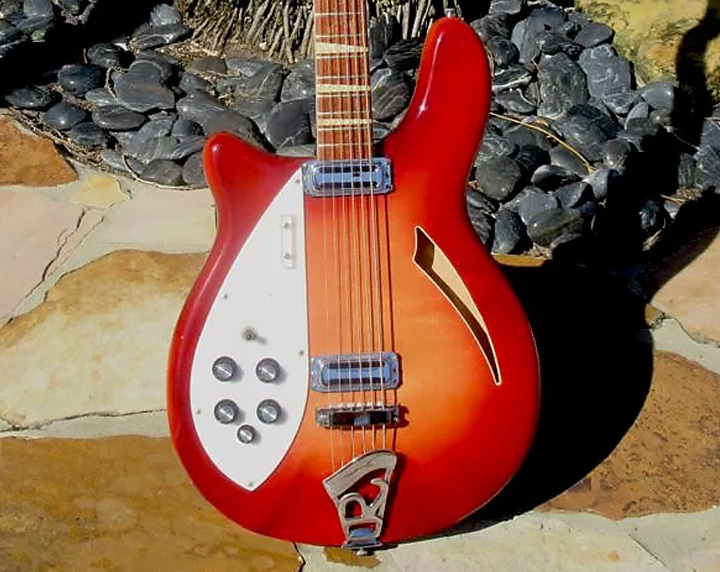 Today, we're taking a look at ten such Rickenbackers that are currently for sale on the pages of Reverb. Though these dazzling Lightshow models pop up from time to time, it’s especially rare to see one with a Mapleglo finish — most come in cherry red or Burgundyglo. 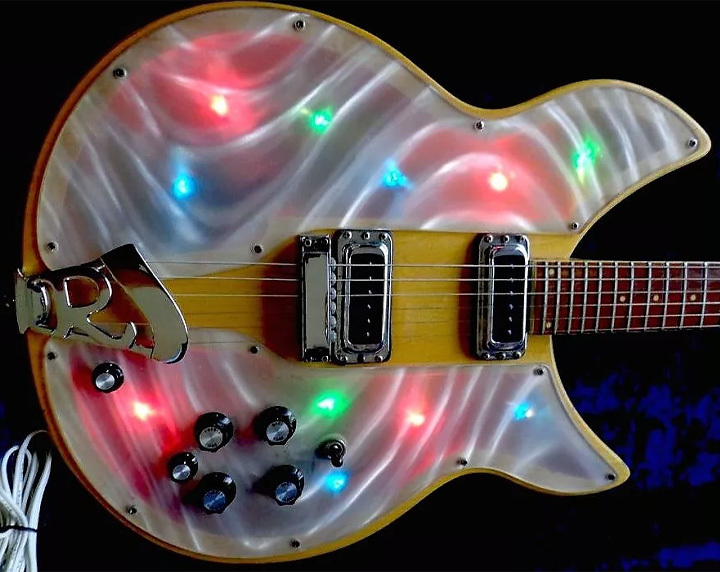 This 1971 guitar features the all–original lucite panels, but the lights’ circuit board underneath has been completely restored by Paul Wilczynski. Aside from that restoration, this guitar is totally original and in great shape. 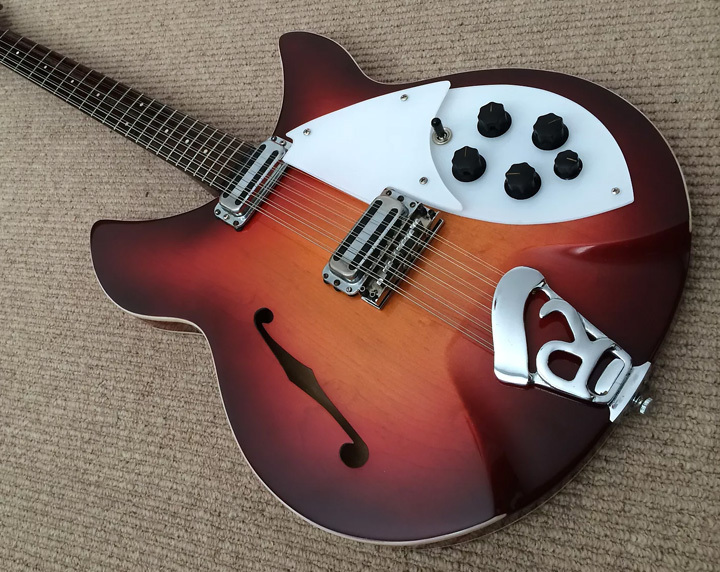 Though Rickenbacker has made a couple of double–neck models in the past — like the 4080 style used by Geddy Lee — the 362 semi–hollow double–neck is a bit harder to find. This top–of–the–line 1979 model is completely original, from the Mapleglo finish and double checkerboard binding to the frets and its original hardshell case. While never very popular, it’s not entirely uncommon to see 480s and 481s (the guitar equivalent of the much more revered 4001 bass) making the rounds. But a 12–string 481 is an entirely different beast. 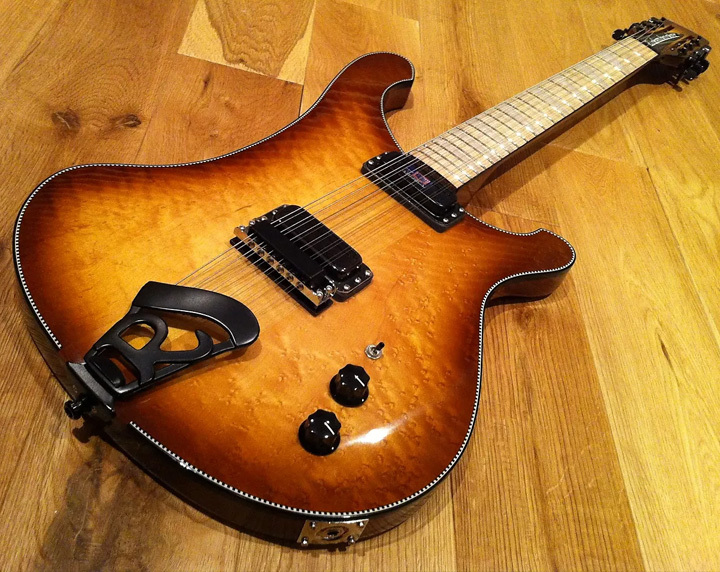 According to the seller, this guitar was a factory one–off built in 2012. The 4002 body is made of high–mass maple wood — leftovers from the last run of 4002 basses. It’s married to a 660/12 neck with an unfinished maple fretboard. 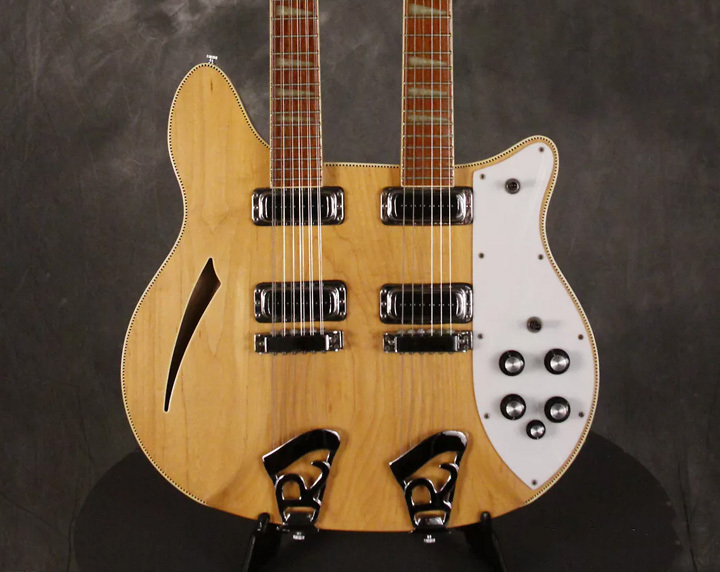 Rickenbacker’s 4005 bass is essentially the bass equivalent to their 360 guitar model. Regular 4005 basses are rare to begin with, but for a limited time in the '60s, Rickenbacker produced an even rarer 6–string version of this design along the same lines of the Fender Bass VI. 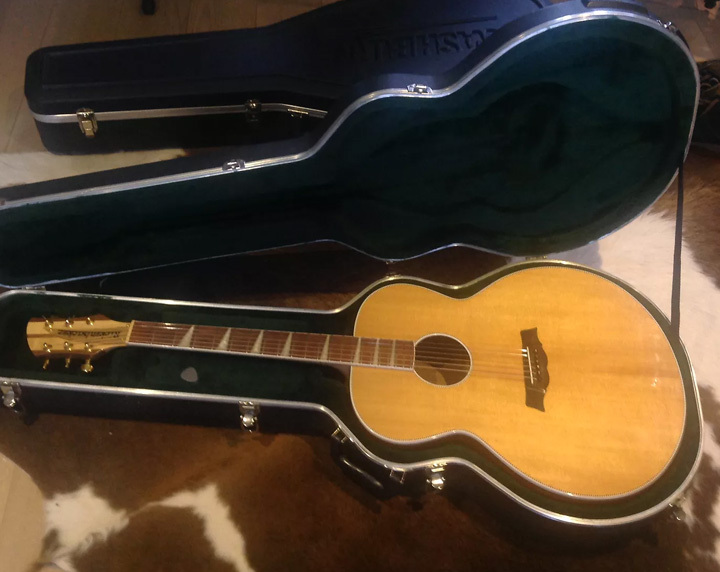 This guitar is a lefty version of that already rare model and is very likely a one–of–a–kind instrument. 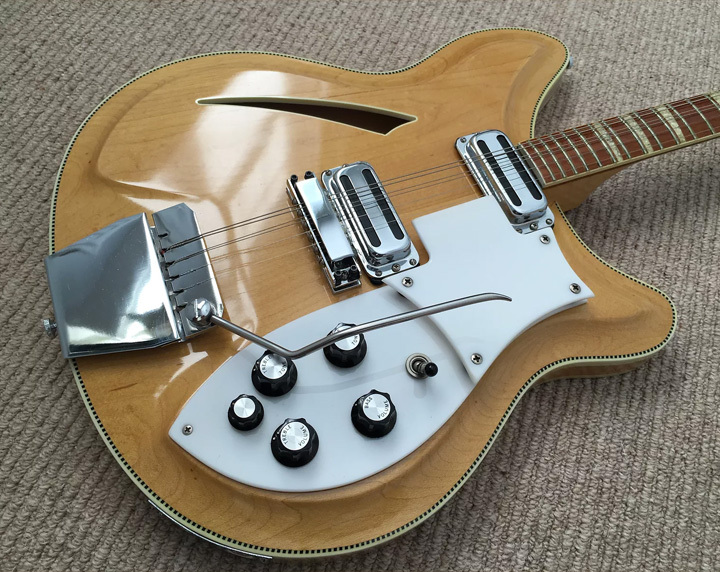 Beatles fans are likely familiar with the Rickenbacker 325 that John Lennon made famous. But have you ever seen its precursor? This sturdy, almost Telecaster–like Mapleglo Combo 850 was the follow–up to the Combo 600 and 800 models and was released by Rickenbacker in 1957. 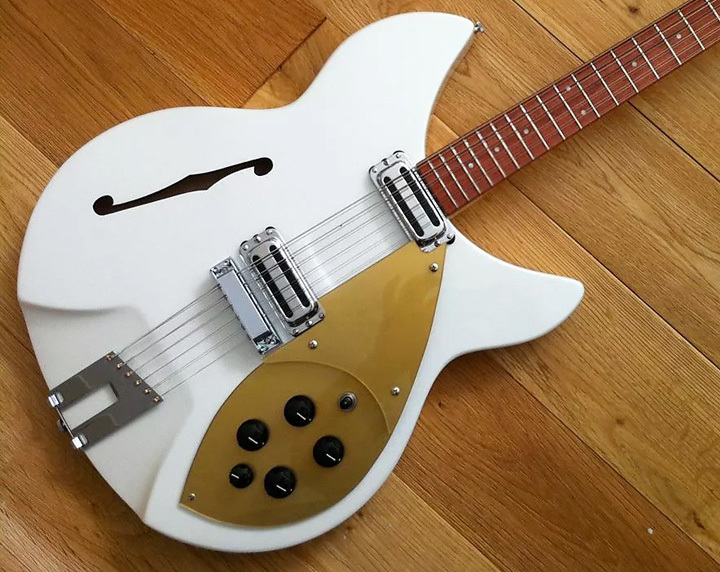 Built with both a horseshoe–style and a toaster–top pickup, these guitars were only made for two years and remain highly regarded by Rickenbacker collectors. 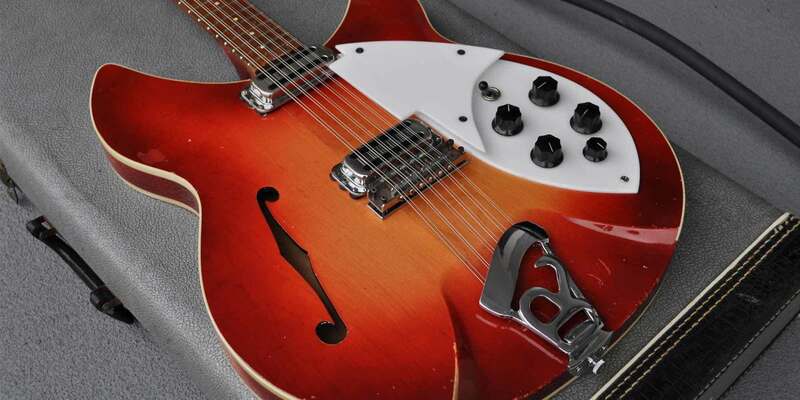 This 700S is one of the very few acoustic models ever marketed by Rickenbacker. Though there were a few Ric acoustics in the ‘50s, they were never made in any significant volume and only brought back for another short time around the ‘90s and early 2000s. This one is from 2001. According to the seller, only ten of these instruments were made in 2012 for the UK market. Finished in a metallic flake pearl white color, the guitar definitely has a vaguely White Falcon vibe to it. The ten guitars were all made as 6–string instruments in the factory, but this particular model was converted to a 12–string by William Young Guitars in France. This 1968 “Eddie Peabody” Banjoline is one of only a handful in existence. It’s a 6–stringed instrument that is tuned as a plectrum banjo (C–G–B–D) with the C and G doubled in unison like a mandolin. The scale length is normal for a guitar, longer than a tenor, and shorter than a standard plectrum, so it could be tuned to any of the above. Rose Morris is a famous UK music store that has been in business since 1920. When they started importing Rickenbackers, they did so using a different model–naming system than was used in the States. The 1993 is the British import version of a 330/360 hybrid. The key difference between the American and the British models is that the Rose Morris models feature a traditional F–shaped soundhole rather than the slash of the American models. In the early 2000s, Rickenbacker offered most of its key models in a "color of the year" option which included intriguing new finishes like Desert Gold in 2001 and Montezuma Brown 2003. The 2004 color of the year was dubbed "Blue Boy" and you see examples of this finish crop up now and then. This 370/12 — which is just a 360/12 with a third pickup — was likely a special order during the window when Blue Boy was available. Rickenbacker guitars are hard to miss. Unique curves, electronics, hardware and other details all combine to form some of the most distinct instruments ever made. And then, of course, there's color. 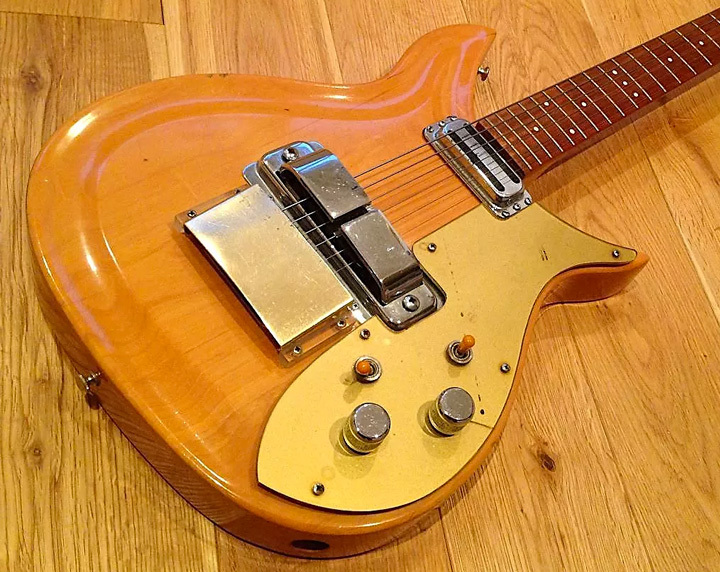 Learn about the colorful history of Rickenbacker finishes here.